These stretch seamless hook & loop tab closure shoes aid in reducing painful rubbing which causes abrasions, ulcers, calluses and corns. 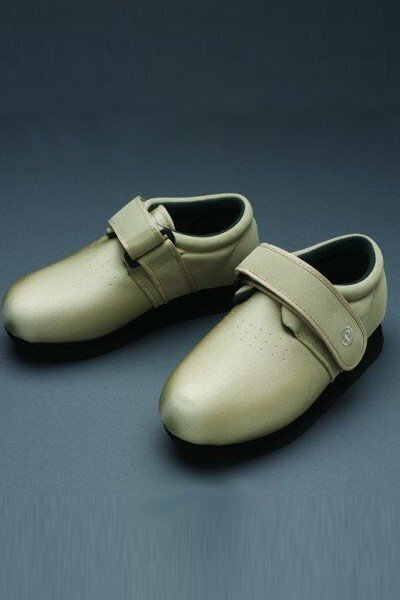 These shoes are perfect for those suffering with diabetes, arthritis, poor circulation, ankle edema and foot edema. The full-length EVA inner-sole is removable to accommodate custom orthotics, or to allow additional foot-bed depth. Machine wash in cold water, gentle cycle and rack dry only. Whole sizes only. Extra wide width. NOTE: Special order item. Please allow 2-3 weeks for delivery.